It is YOU who can inspire the next Designer. 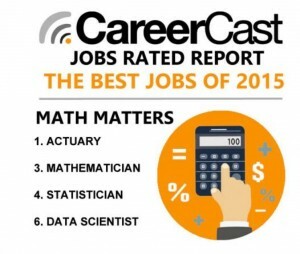 Math Jobs Rule … Data Scientist – What a Fun thing for kids be. So, what is your goal? What do you want to create? How can you “Design a Better Mouse Trap”? DESIGN TO IMPROVE LIFEWe must move beyond BINARY Assessment – that is B&W, right or wrong, MC testing. Ask a student to draw a circle inscribed in a square. So easy to assess the answer, yet every answer is different.